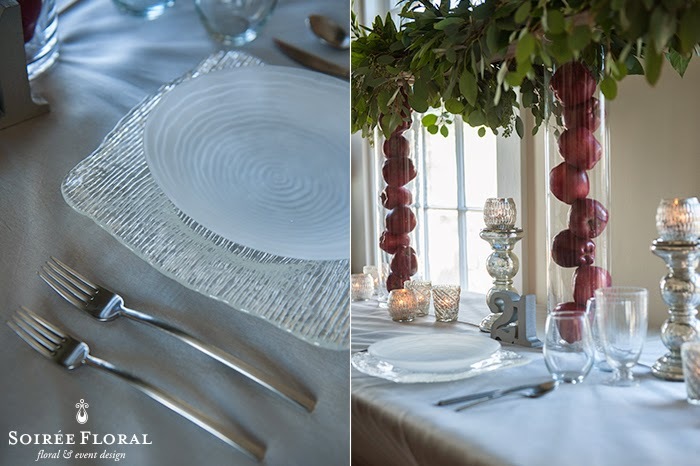 Today's installment of our holiday tablescapes is an "icy" one! 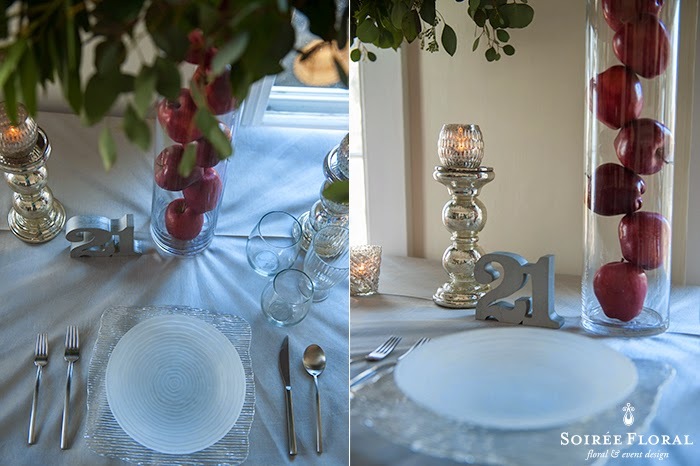 We couldn't resist pairing Placesetters' frosted rippled glass plate with their silver linen! Keeping the tabletop elements mostly monochromatic gave us a more modern and sleek tablescape, allowing the red and green centerpieces to pop! To add to the modern feel, we kept the glassware stemless and used the ice-like square charger to finish the design. Like this look and want to recreate it? Head over to our Polyvore page and shop this look! 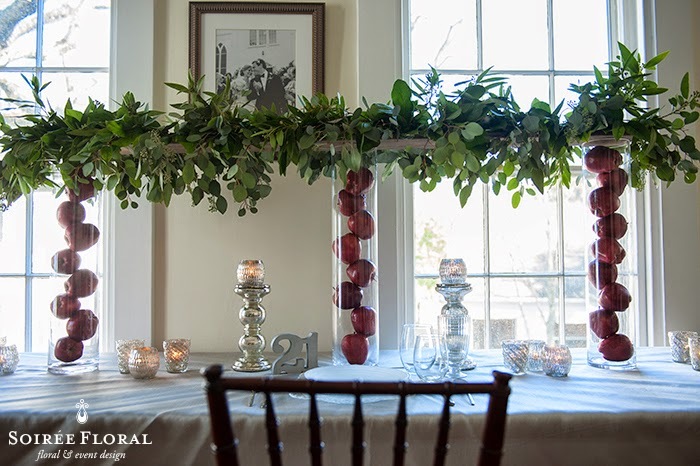 Tabletop and Linen Rentals: Placesetters, Inc.